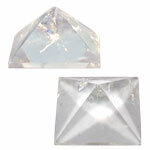 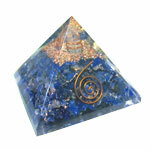 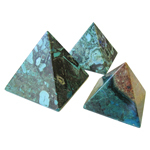 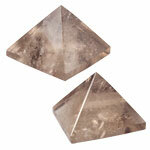 These pyramids combine orgone energy discovered by Wilhelm Reich with amethyst. 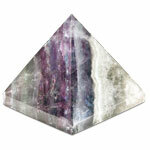 Amethyst is the purple variety of quartz crystal composed of silicon dioxide with traces of iron. 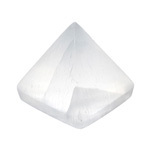 As a healing stone it is said to be helpful in ridding nightmares. 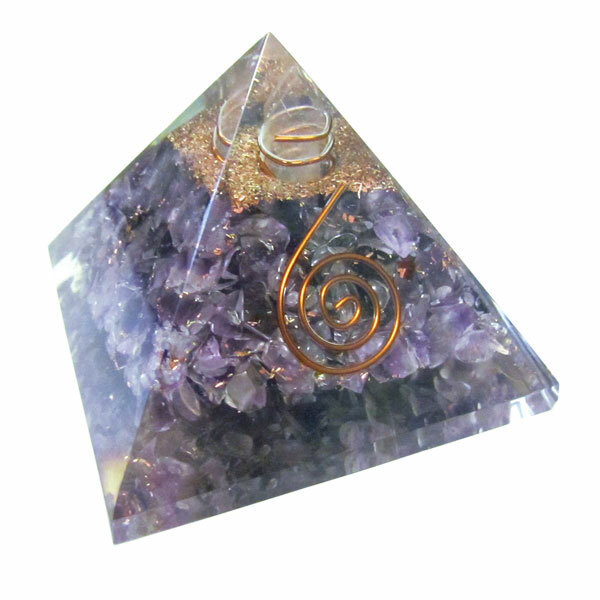 Just hold the Amethyst crystal on the forehead for a minute and ask it to guide you through a peaceful sleep, then place it under your pillow. 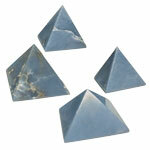 Also helpful to calm an overworked and over stressed mind. It is thought to dispel negativity and create a peaceful environment.